A closing keynote conversation with Representative J.T. Wilcox will round out a day of rich policy discussions at our 2018 Re-Wire Policy Conference on December 13. 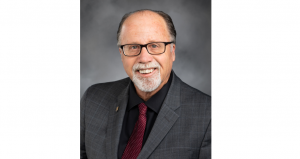 Rep. Wilcox was recently re-elected as leader of the Washington State House Republicans. He’s represented the 2nd Legislative District, which covers south Pierce County and parts of Thurston county, in the House since 2010. We’ll be talking to Rep. Wilcox about the state of politics in Washington today and looking into the future. 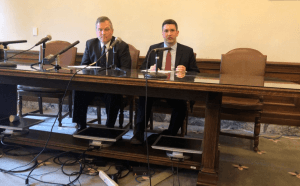 Surely, some of the conversation will center around what’s next for Washington’s Republican party in the context of Dems’ recently expanded majority in both chambers of the legislature. With the 2019 Legislative Session right around the corner, we’re eager to hear what issues and bills Rep. Wilcox names as his party’s priorities. This will be one of many conversations that we’re proud to feature at this year’s conference, and we hope you’re planning to join us. If you haven’t signed up already, you can do so here. To take a look at what other topics we’ll be exploring over the course of the day, check out our topical agenda.